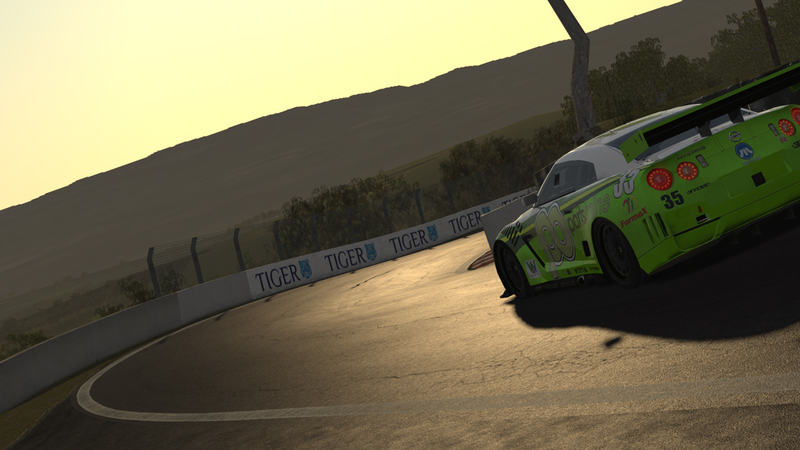 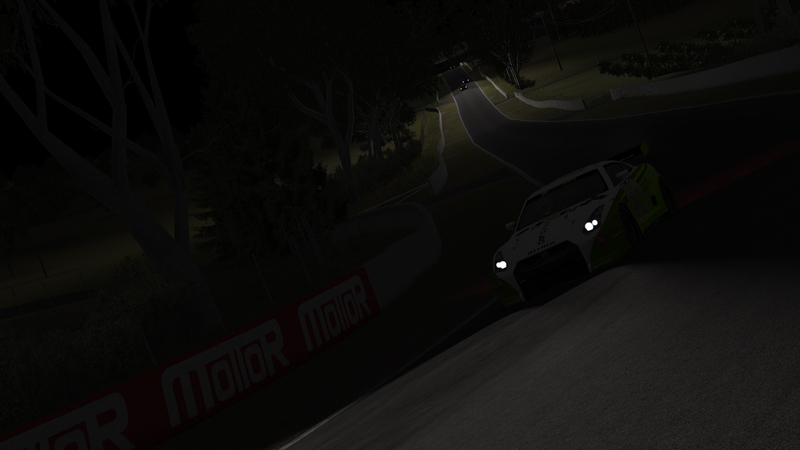 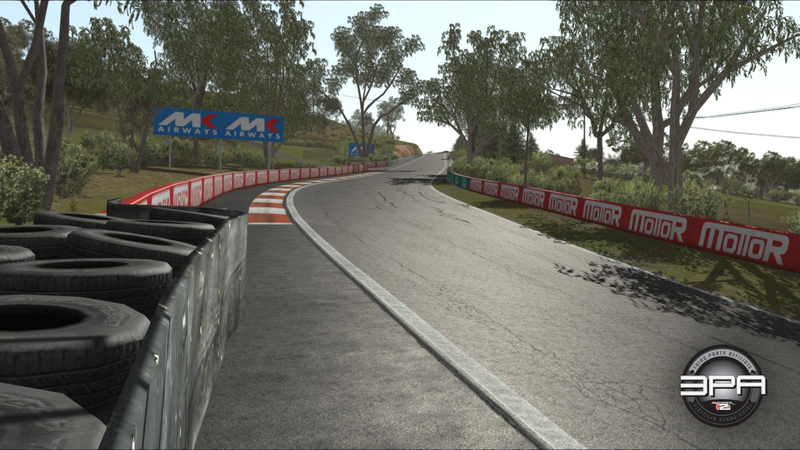 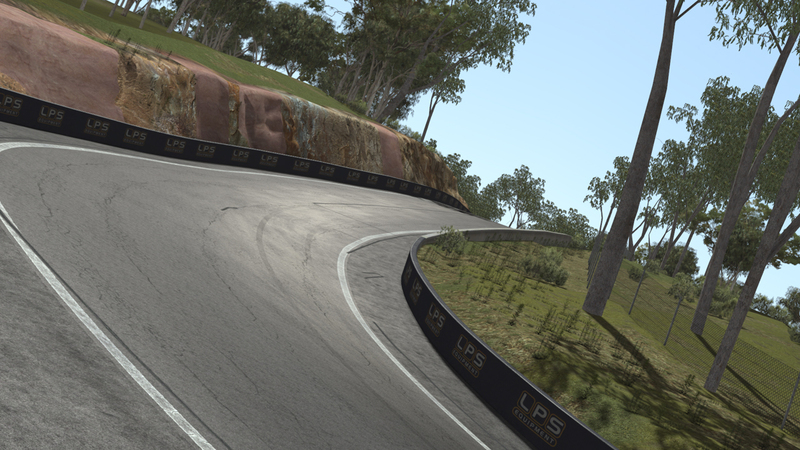 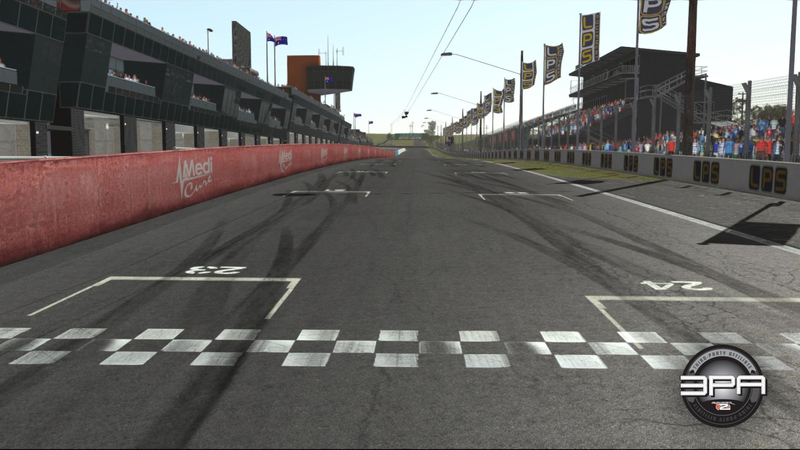 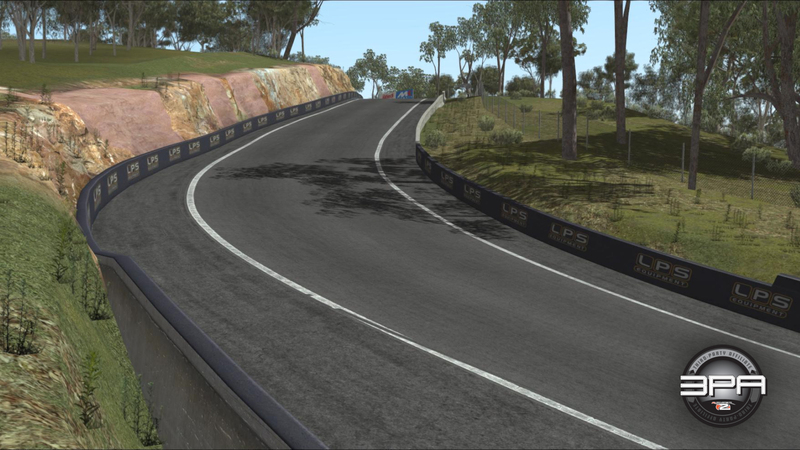 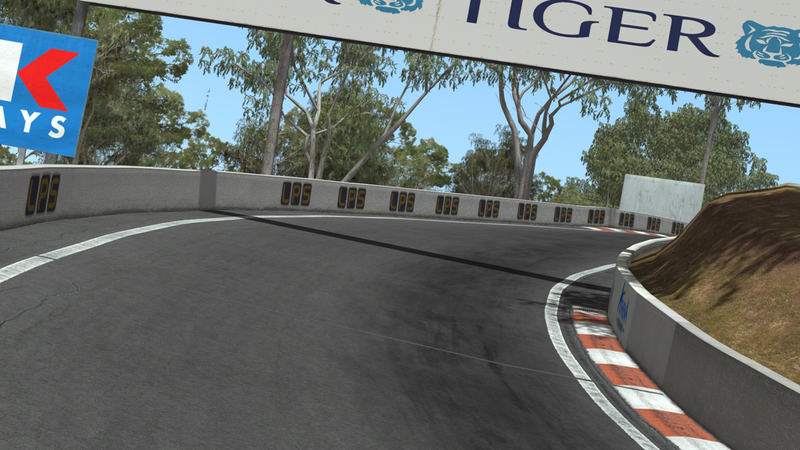 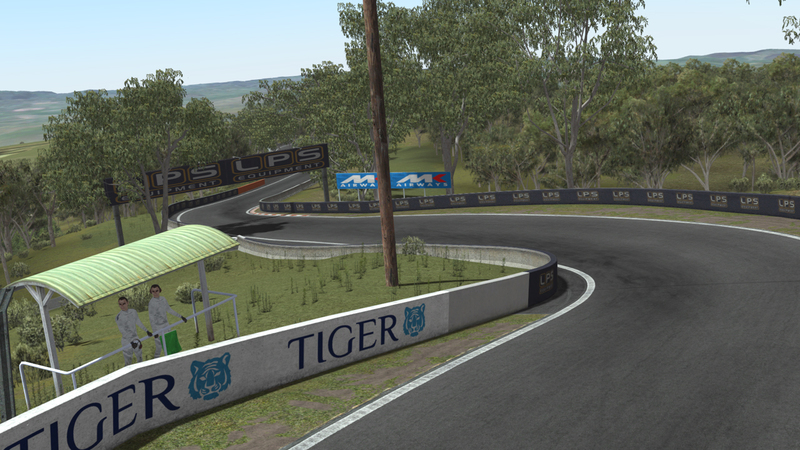 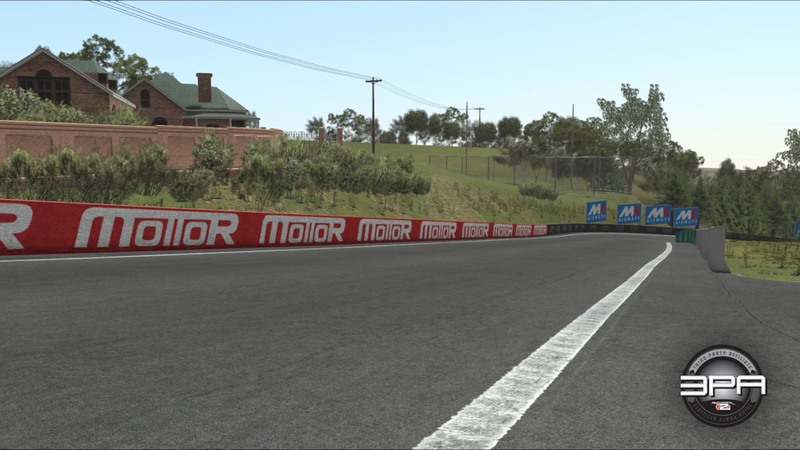 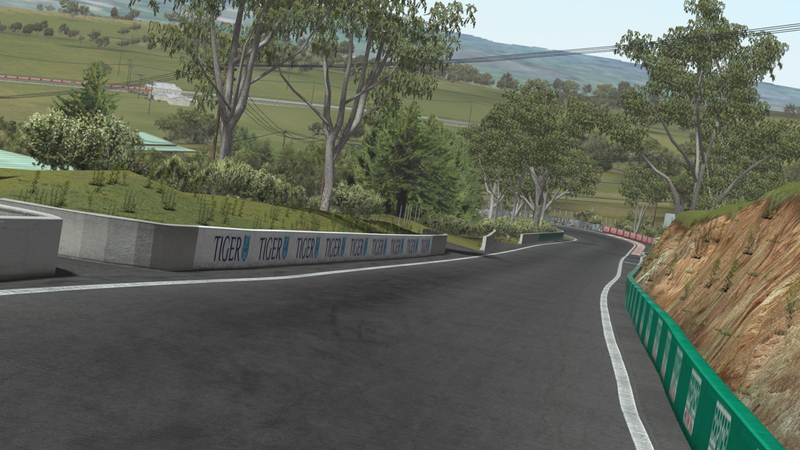 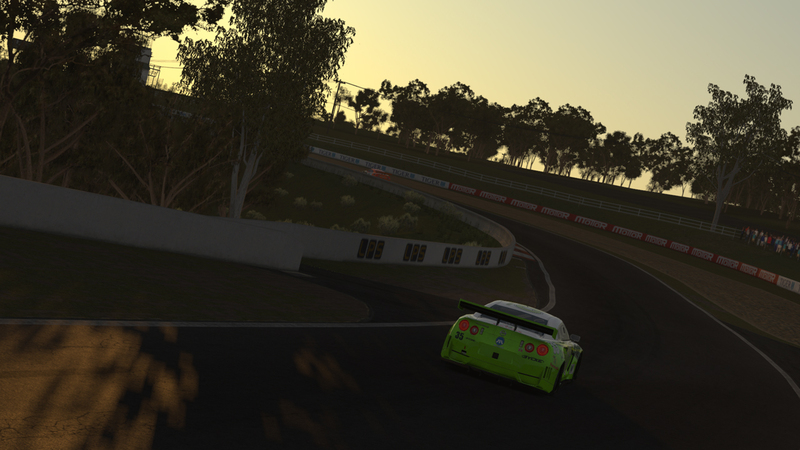 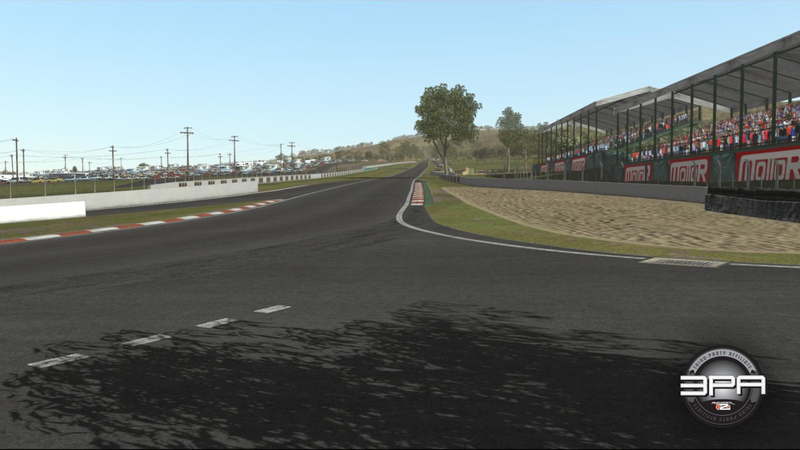 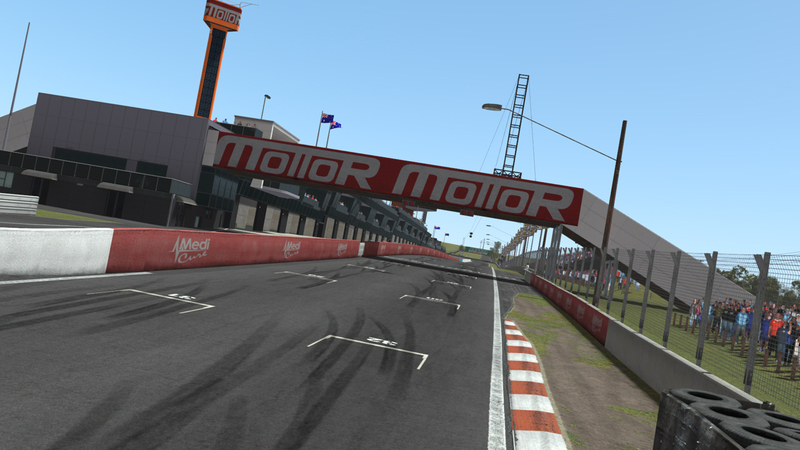 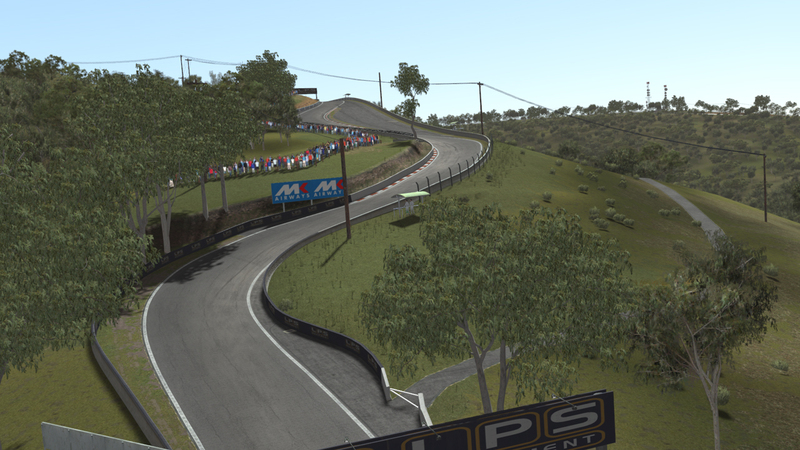 Image Space Incorporated has released a new version of their recently-released Bathurst track for rFactor 2. 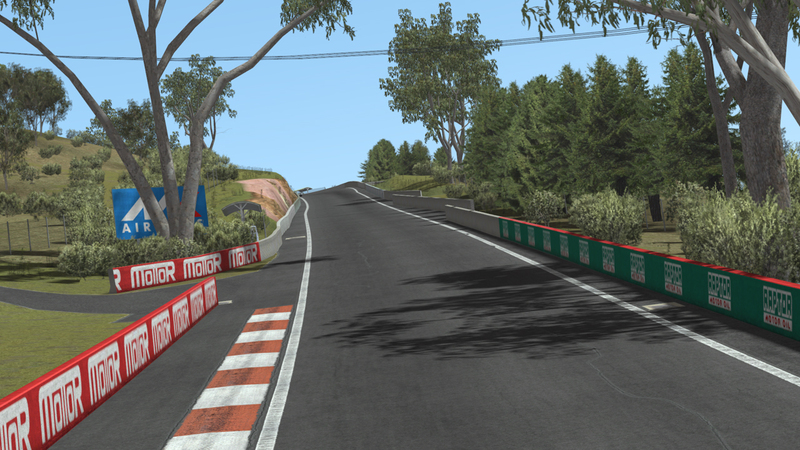 The new version addresses some small issues as listed in the changelog below. 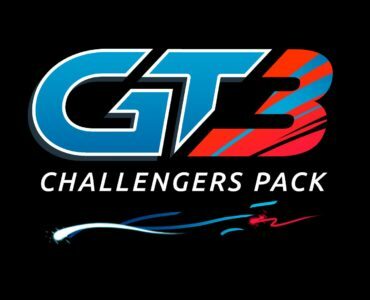 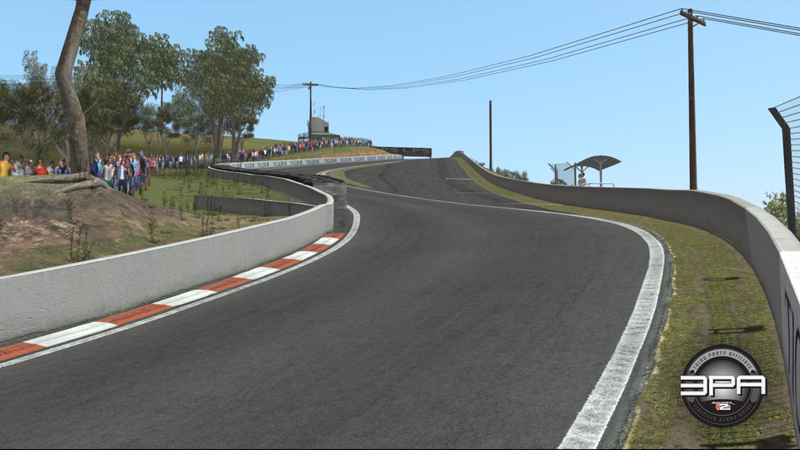 Similar to the Reiza Studios-created Interlagos track, Bathurst is what ISI calls a third-party affiliate content edition, an officially sanctioned and licensed addition to rFactor 2 created by outside contractors. 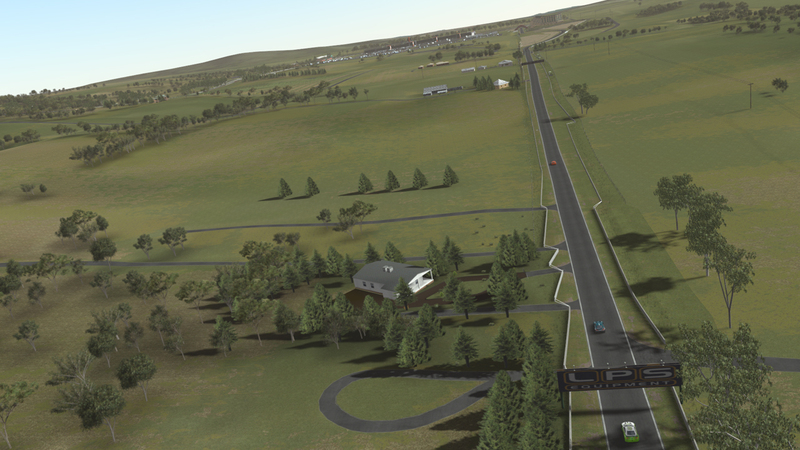 Located in Bathurst, New South Wales, Australia, sits a 4-mile rectangle of public road draped over a mountain and out onto the slopes beside it. 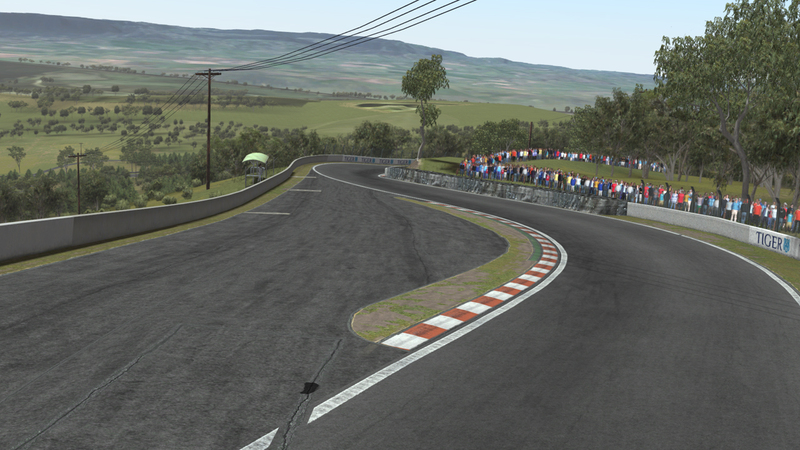 With a strict speed limit of 37 mph to restrict the racing fan on a pilgrimage, Bathurst features an impressive series of tight turns and alarming elevation changes that make it seem too small even to accommodate everyday traffic. 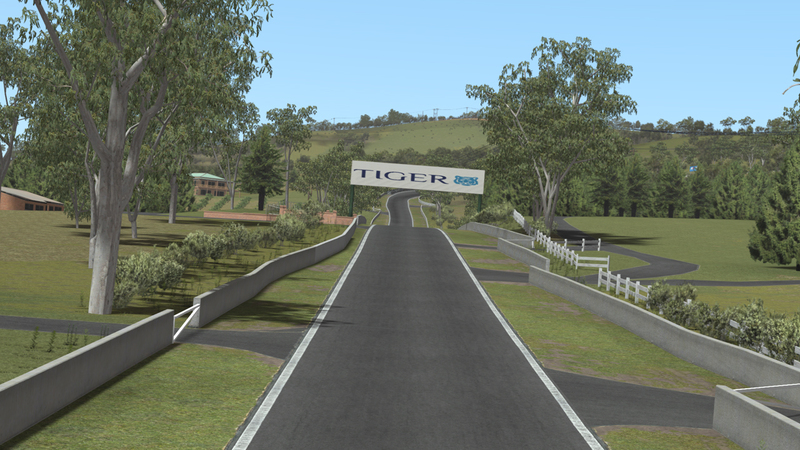 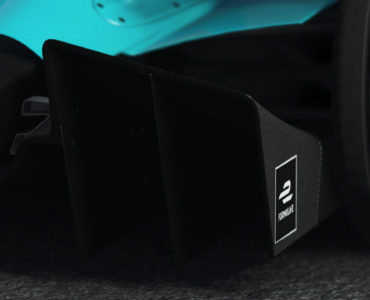 Those few times a year when it is closed off, thoroughbred race cars unleashed, speed limits removed, and drivers fight side by side with inches to spare are a fan favorite in Australia, more recently becoming a worldwide sensation. 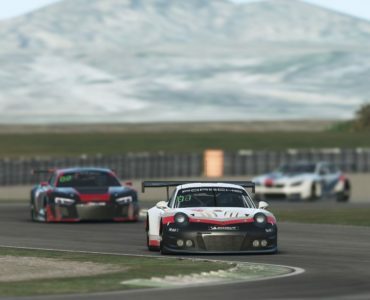 Here is a great mult-class race video from TimW.